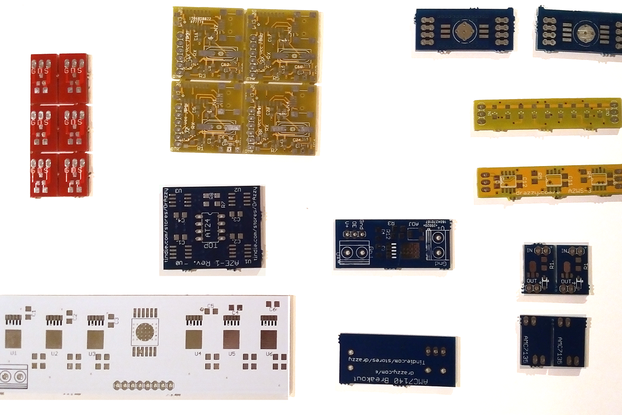 Big restock on ATTiny841/1634 assembled boards. 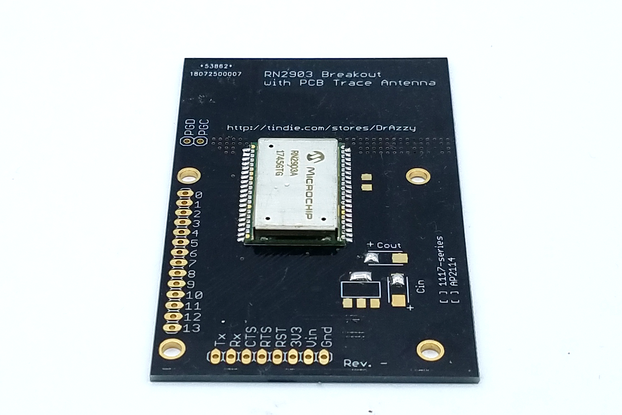 Check out our NEW ATtiny43 breakout board - arduino compatible, but with on-chip boost converter to run off a single alkaline battery! 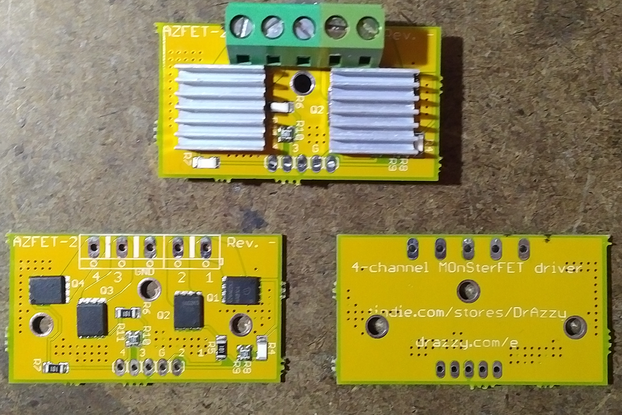 MOSFETs are the go-to technology for controlling large loads from a microcontroller. As technology has advanced, and processor voltages have moved to 3.3v and below, MOSFETs have become available which will turn on with ever lower gate voltages. Unfortunately for many hobbyists, these modern low-voltage MOSFETs have often remained out of reach - while 4.5v logic level MOSFETs were made in through-hole packages, the lower voltage ones are available almost exclusively in surface mount packages. 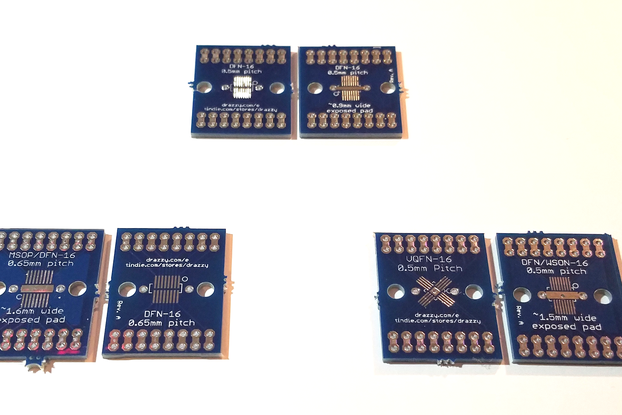 One might expect breakout boards to be common - but while eBay and Amazon are full of 4-channel MOSFET driver boards... unfortunately these almost exclusively use old "standard" voltage MOSFETs or 4.5v logic level MOSFETs. 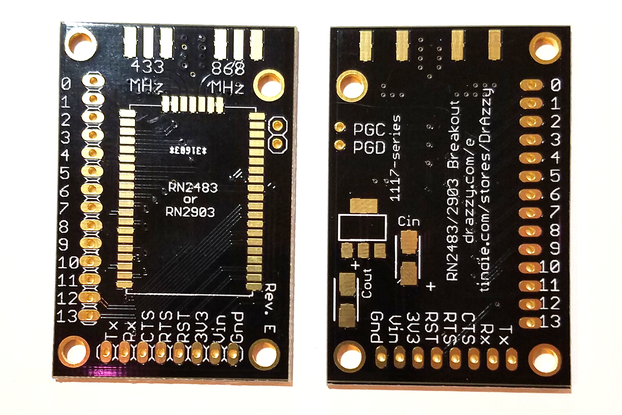 It's never been clear to me why this was the case - but that's why I decided to offer these boards. 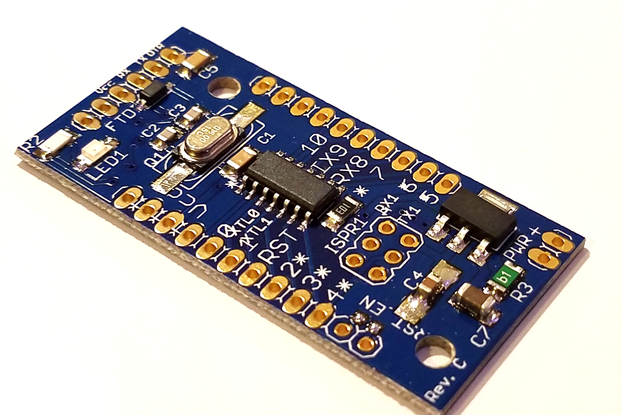 This is an updated version of this board based on the AOD-476, which has since been discontinued - this board uses the IRF3708 instead. 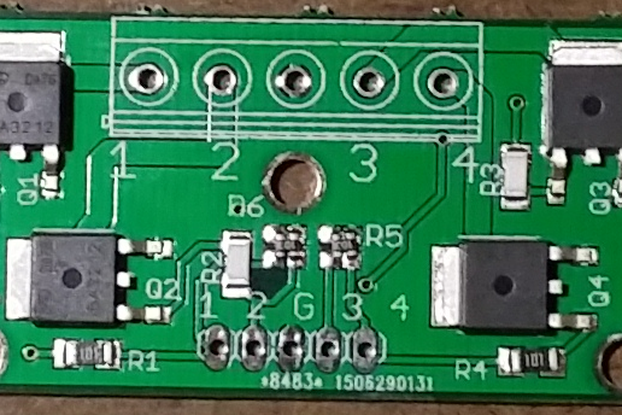 This is a 4-channel MOSFET breakout board, made with the IRFR3708 logic level MOSFET, spec'ed for use with voltages as low as 2.8V on the gate, making them well suited for control with modern 3.3v electronics. 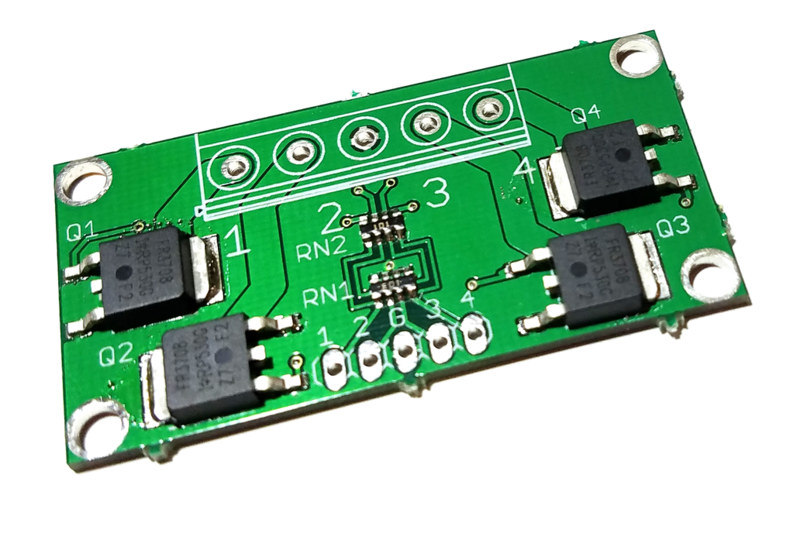 These MOSFETs support switching loads up to 30V and are rated for continuous current of 20A @ 100C Tc (case temperature), 25A @ 25C. See documentation link for full specification. Rated for Vgs +/- 12V, Vds up to 30V. Current up to 60A with added cooling. Without added heatsinks, current is limited by power dissipation to 5-25A depending on conditions. 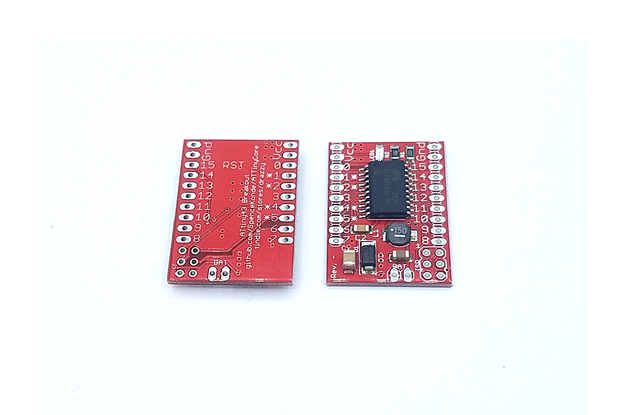 Includes 100 ohm resistors in series with the gates so that these can be connected directly to a microcontroller without damaging the pins. Where very fast switching is required, use our 4-Channel High Performance MOSFET driver board. 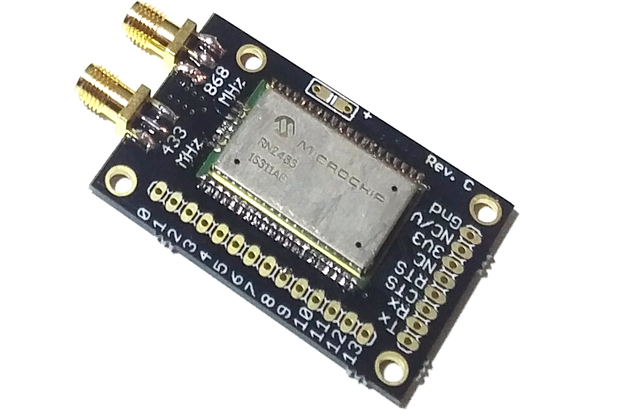 Can be used with screw terminals, other header with pins on 0.2" centers, or solder wires directly to the board. Optional screw terminals are the good kind (the green ones, not the slightly cheaper blue ones that don't grip the wire). Optional heatsinks are held on with silver-based thermal epoxy. 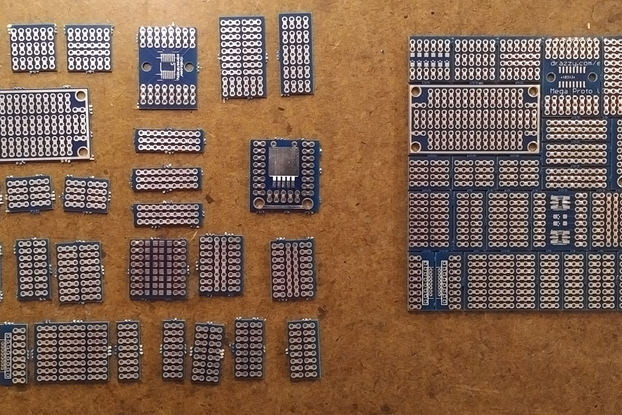 These are made to order; buyers purchasing optional heatsinks should expect an additional 1-2 day shipping delay while the epoxy sets. Looking for something smaller? 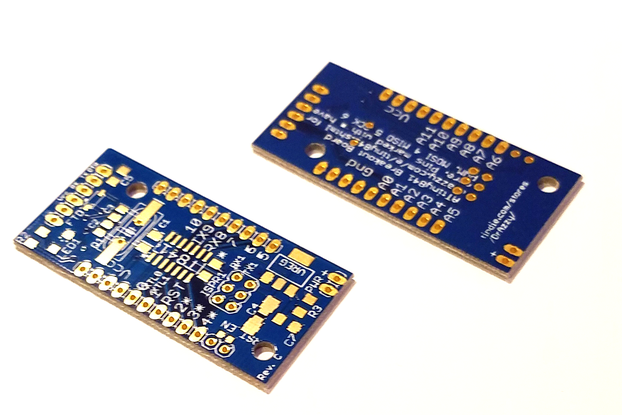 Check out these SOT-23 MOSFETs on breakout boards, as low as $0.50 each!